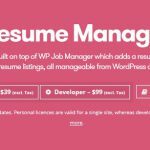 WP Job Manager – Claim Listing v2.5.0 – Hey! Is that your business that someone else has listed? Argh! That’s not the right phone number or contact email address! Let businesses stake their claim. 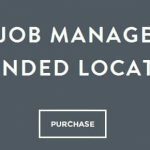 The Claim Listings add-on allows business owners to identify themselves as the listed company and take over management of an existing listing. Take a look at some of the included features below. When a rightful business owner claims a listing it becomes ‘Verified’ with a tick icon, much like a social media page – customers can be assured that the business itself is managing the listing. As the site owner you can choose to charge businesses to claim a listing. 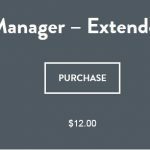 Using WooCommerce you can charge a monthly maintenance fee, or you can choose to charge a one-time payment. If existing listings require verification, when a business owner clicks “Claim Listing” they will be automatically redirected to a WooCommerce page where they can pay a one-off fee, or purchase the subscription. 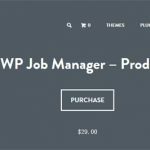 In order to create monthly subscriptions, you’ll need the WP Job manager – WC Paid Listings and WooCommerce Subscriptions plugins (sold separately). 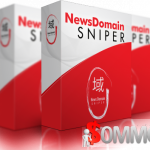 Once this plugin is activated, you can use the existing subscription packages or create new ones to generate paid monthly subscriptions for verified/claimed listings. Simply uncheck the “Paid listing claiming” box and it will be free for businesses to claim a listing! If verification is required to claim a listing, a claim request will be submitted and set to ‘Pending’ so the site admin can verify who that person is. Within the Listings menu you can visit the Claims section, which allows you to view and contact the person who submitted the claim request to verify they are the business owner. You can then change the status of the request by clicking on the eye icon to Pending, Verifying, Declined, or Approved. * New: Updated UI for editing a claim. * New: Listing duration updated when claim is approved. * New: Updated setting descriptions and help text to avoid confusion. * Fix: Various bug fixes and performance tweaks.